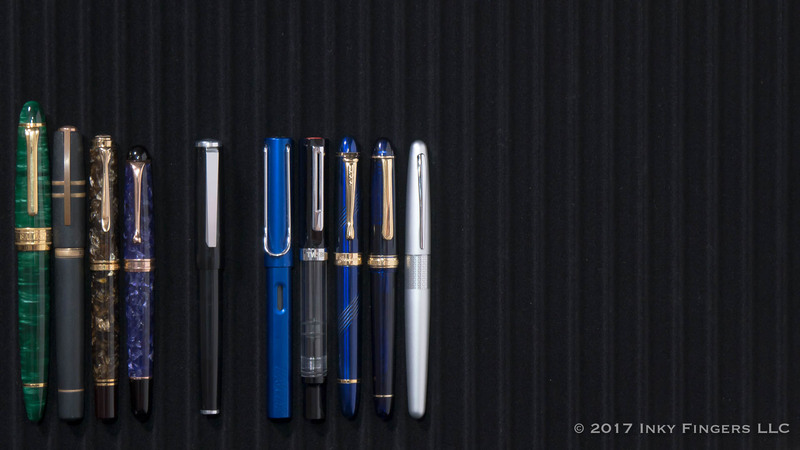 Karas Kustoms is an Arizona-based machine shop that burst onto the fountain pen scene a few years ago in 2013, when they launched an extremely successful Kickstarter campaign for what would eventually become the “Ink,” a machined aluminum pen that could be easily converted between a fountain pen or rollerball. 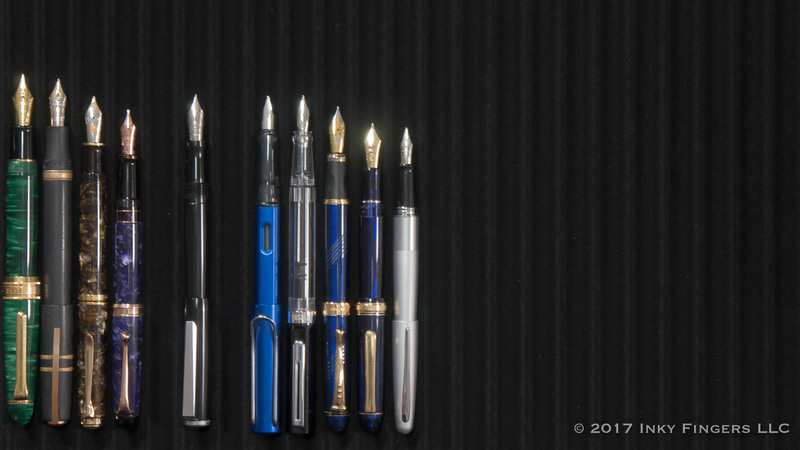 The pen ended up beating its fundraising goal by nearly 1000%, and Karas Kustoms became a well-known quantity in the community. Since then, KK has continued to expand their product lines and availability. 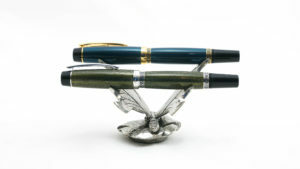 Their pens are now available in retailers around the world, and most serious fountain pen users have used, bought, or owned at least one. Most of the pens manufactured by Karas Kustoms up to this point were metal (aluminum, brass, copper, etc). They experimented with a few other materials (like Delrin) but metals were the manufacturing materials of choice. 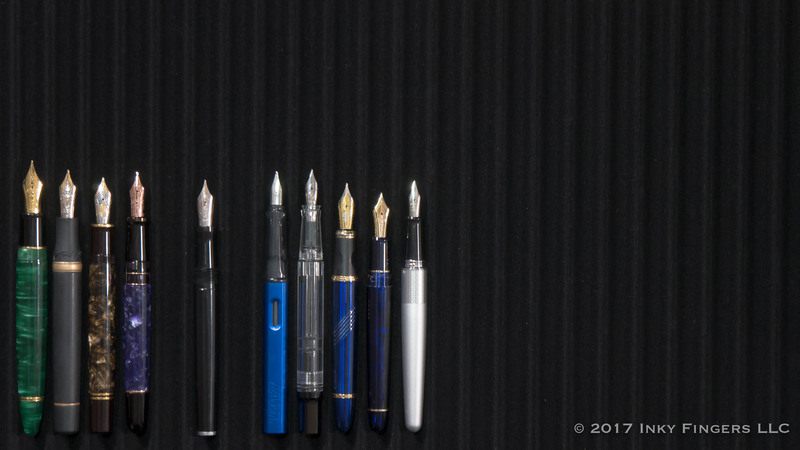 Then, earlier in 2017, the company announced a new pen in their lineup: the Decograph. 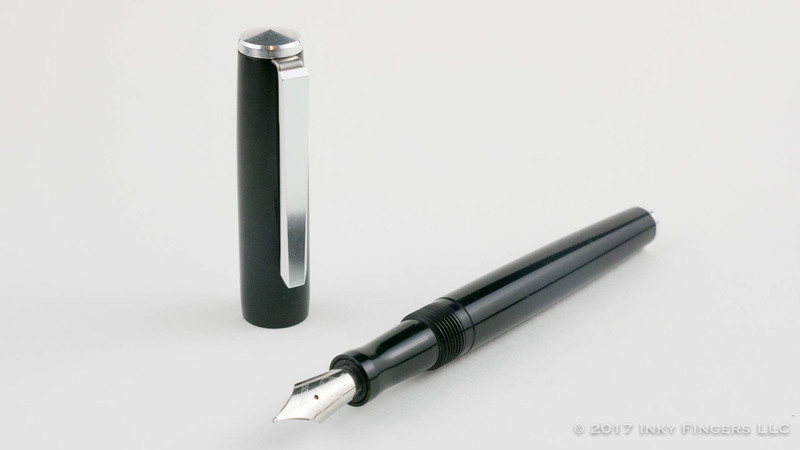 The pen comes in a round billet of aluminum which has been hollowed out, unscrews in the middle, and is lined with foam to securely hold the pen. 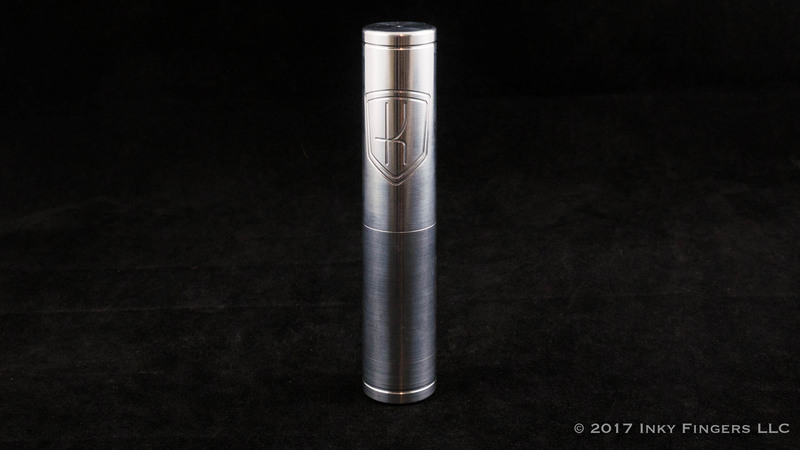 The exterior of the pen case, which is quite unlike anything I’ve ever seen before, has the Karas Kustoms logo machined right into the surface. It’s a very cool presentation. 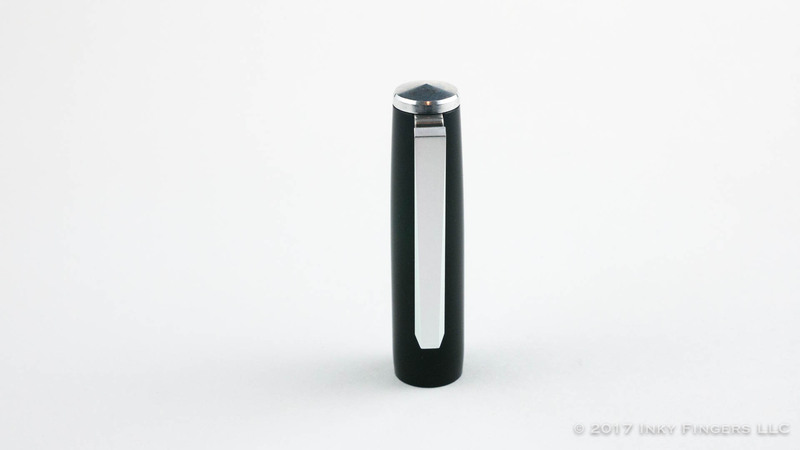 The Decograph’s plastic body is capped by two machined aluminum finials. The top finial features a slightly peaked top, where the bottom finial features the Karas logo stamped into the metal’s face. The cap has a clean line which tapers to a relatively thin lip. 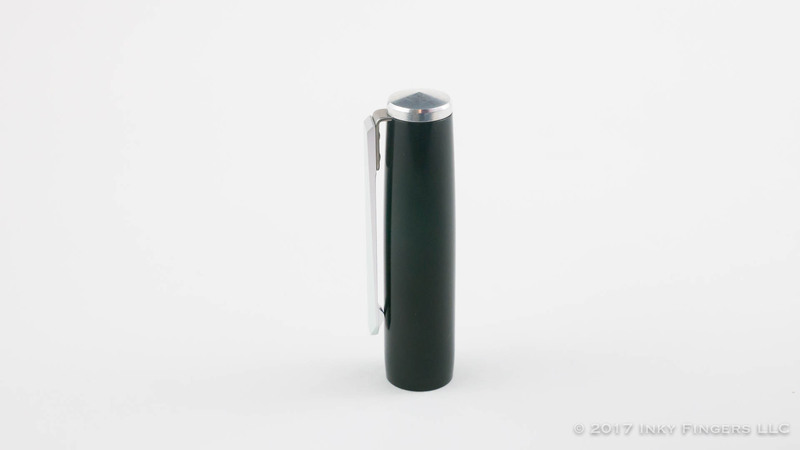 The pen’s best design feature is the chiseled clip, made out of sold stainless spring steel. 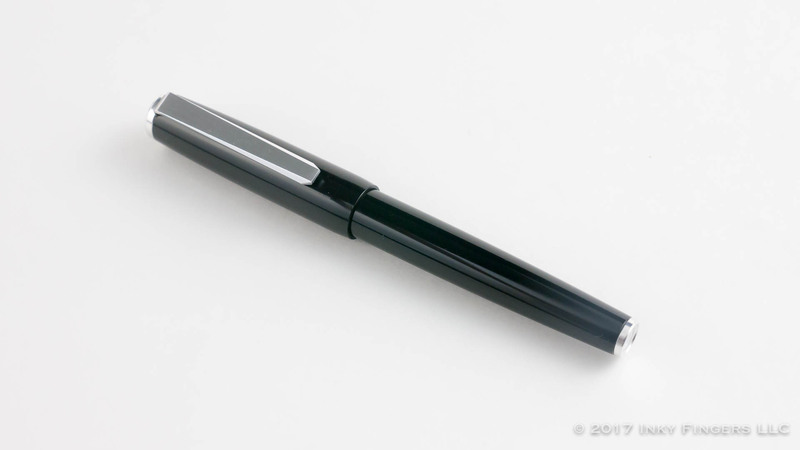 The matte aluminum, brushed steel, and black give the pen a very refined, albeit simple, look. As I mention in the video, it feels like a work pen that could very easily fit with a tuxedo as well. In the hand, this pen is very comfortable. The material is extremely lightweight, so whether posted or unposted (I generally tend to use the pen unposted), the pen seems to just float in my grip. The section is long enough that the threads are out of the way, and the section’s contours feel very ergonomic to me. The weight of the pen and the moderate size combine to make long writing sessions quite comfortable. 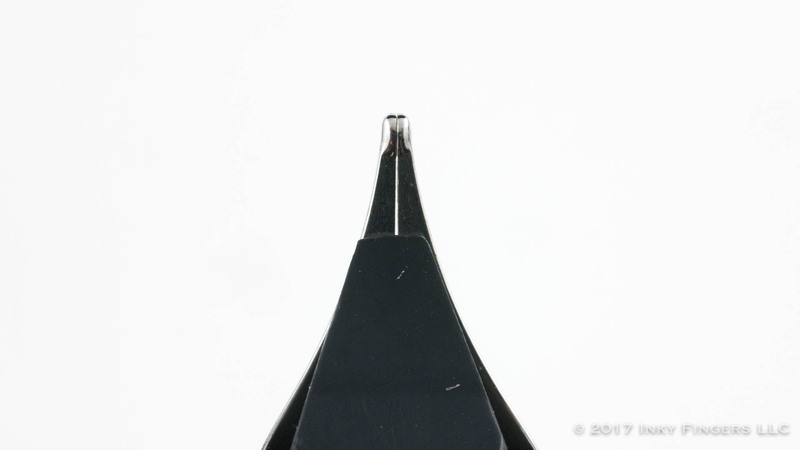 When it comes to the nib, there is nothing particularly special about this nib…but that’s not to say it’s a bad writer. 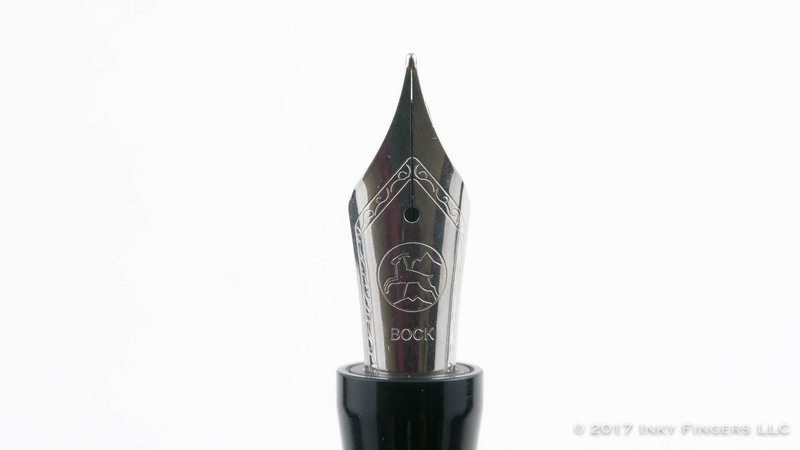 It’s just that, if you have ever used an out-of-the-box Bock nib before, you know exactly what to expect. It’s a good writer, with an ink flow a bit north of medium. The nib tip gave me a bit of friction on the paper, but not an unpleasant amount. There wasn’t significant ink starvation, although I did, on a couple of occasions, prime the feed a bit to get a really wet bit of writing. (This isn’t a nib that let me show off highly sheening inks, for instance.) 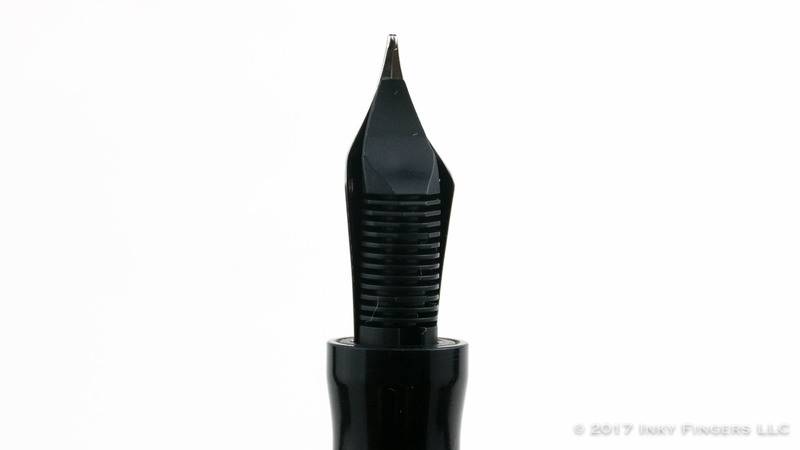 This nib is quite rigid, as are most steel nibs, so don’t expect much in the way of line variation. The medium nib gauge was true to size, and the nib was a very good, if rather pedestrian, writer. 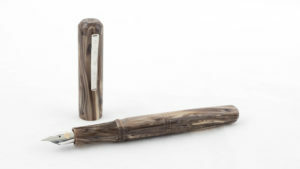 The Karas Kustoms Decograph is a nice, attractive pen with extremely high-quality construction and tight tolerances. 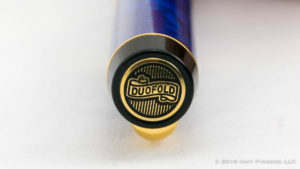 The pen is well made, nicely finished, and a bit more graceful of line and overall shape than some of the company’s other offerings. It feels a touch more “refined” than the more hard-edged, chamfered look of pens like the Render K or Ink, while still maintaining a very Karas Kustoms-like design. 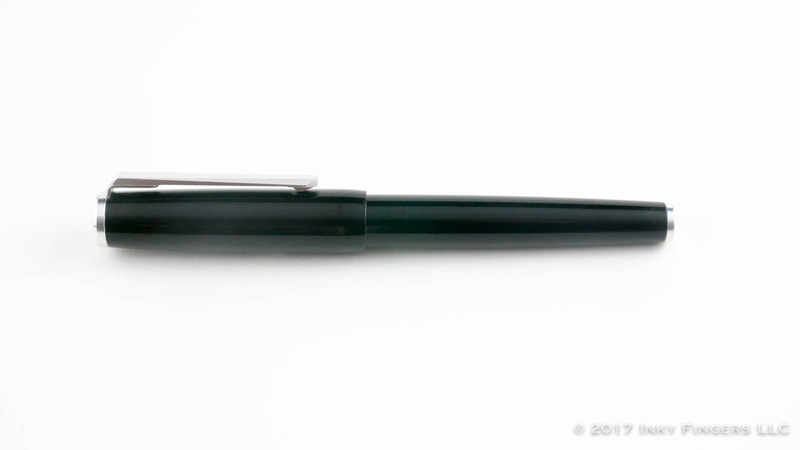 My only real dislike of the pen is that, at the time of this review, the Decograph was only available on the website in two colors: black and a semi-translucent green. I have seen special editions of this pen in other materials in the wild, so I suspect we’ll see a lot more variations in the future, but the limited color selection on the website was a minor disappointment. The other area of very slight concern was the price. One of the things that have made Karas Kustom’s pens as successful as they are is the really reasonable price that they’ve been able to achieve for their pens. The KK Ink, for instance, is available for as low as $95, in a wide variety of colors of anodized aluminum and with the same Bock steel nib. 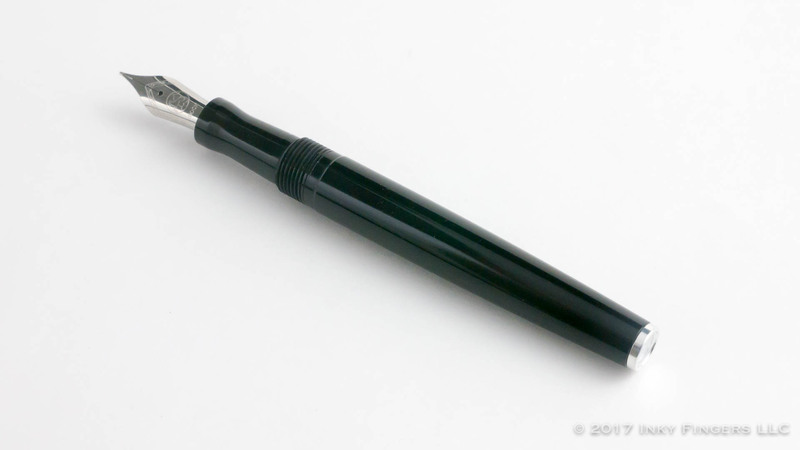 The Decograph starts at $165, with an upcharge of $45 for a titanium nib. 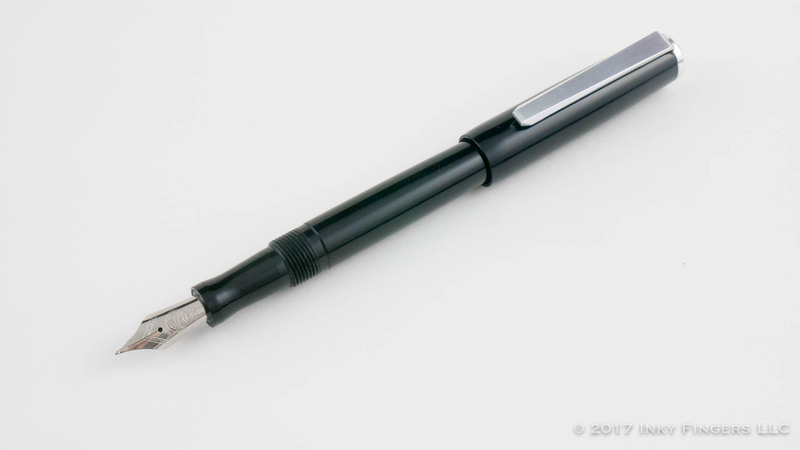 This price is in line with prices from other smaller pen manufacturers (e.g., Franklin-Christoph, Edison), so it isn’t terribly shocking for the Decograph. But, irrational though it may seem, it feels a little high when compared to the all-metal models in the company’s line. I suspect the price difference is due to the additional hand finishing that likely must be done on a plastic body, but that’s only a guess on my part. In the end, I like the Decograph a lot. It’s a nice pen, it’s a step toward a more refined profile that I find quite attractive. I look forward to watching this line to see how additional materials or other customization options appear over time. There’s a lot to like in the Decograph and a lot of potential for future iterations. This pen was provided free of charge for review and giveaway purposes by Karas Kustoms. No additional compensation was provided to provide this review, but Karas Kustoms has been a sponsor of this blog in the past. 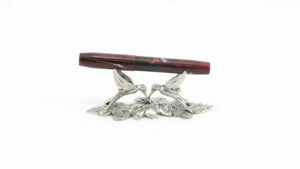 This pen will be offered as part of a giveaway package this season to a Pen Habit winner.